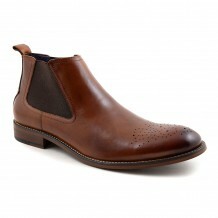 Warm caramel tone slip-on brogue which is an easy shoe to wear either dressed up or down. 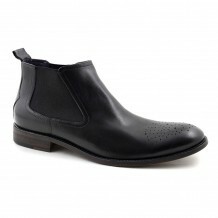 A versatile shoe with broguing to the toe and side gusset. This is tan slip-on brogue which has lots of character and interest. The colour is a warm brown which feels luxurious. There are side gussets for ease of wear and there is contrast stitching for detail. 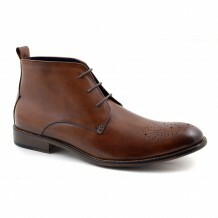 The main effect of this shoe is the brogue detail in terms of the wing tip and the medallion to the chisel toe. The way the toe changes to a slightly darker shade of brown is also rather fetching. 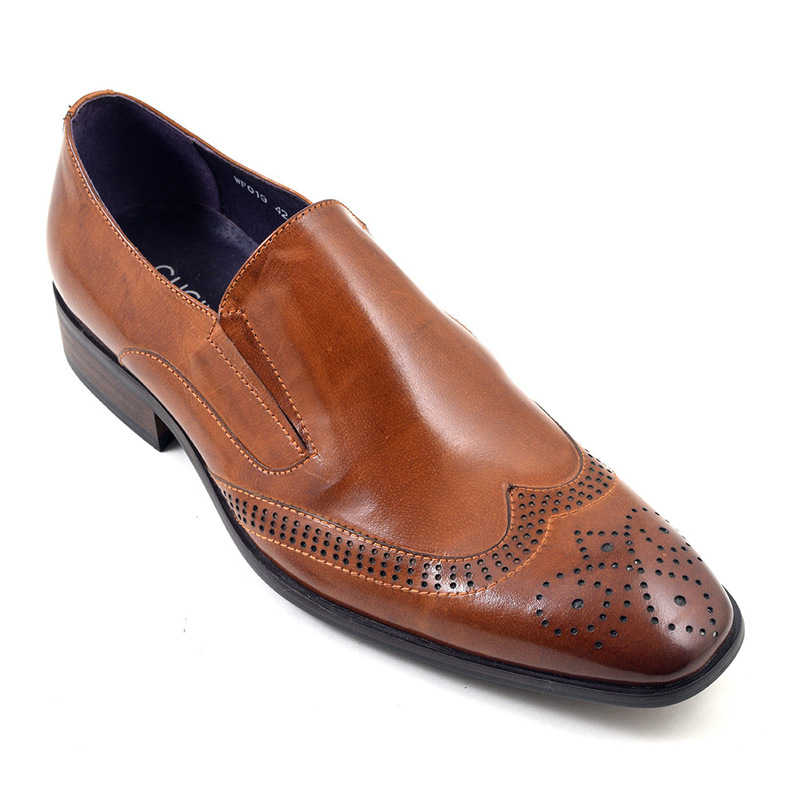 All in all, this is a really beautiful mens slip-n brogue to war in a fomal setting if you so wish. It was not so when the hoe originated though. In the wet fields of the Irish and Scottish countryside, people wore shoes made of untanned hide which had holes punched in them to get water out of their shoes when they worked or walked the wet fields. The word ‘brog’ also means shoe in Old Irish. These days, the perforations are decorative obviously but they do add a lovely detail to mens shoes. As these are slip-ons, they can be worn in a semi-formal way too so will work with a pair of jeans and give a more streamline look than a lace-up. We can recommend you spit and polish them to keep them looking dandy with that sharp tailored suit. 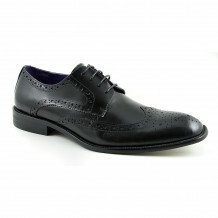 Navy would be gorgeous with these mens brogues. The broguing has a contemporary edge to it and we hope yo unlike this offering from Gucinari: home of designer mens brogue slip on shoes. Be the first to review “Ruben Tan Slip On Brogue” Click here to cancel reply.